The fabric of Mayan life is embedded with a vibrational tonality unique to its culture. Mayan America exists as a parallel reality alongside and surrounded by Latin America, it is a realm where magic and the supernatural thrive as a part of everyday life. Everywhere, just beneath the surface of normality and conventionality, the fabric of Mayan life is embedded with a vibrational tonality unique to its culture. 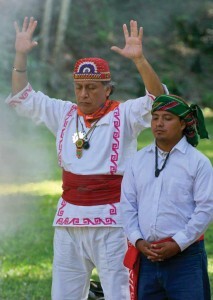 Guidebooks to Guatemala mention several sanctuaries where the indigenous saint Maximón is venerated and the location of a few sites where shamanic rituals are performed. 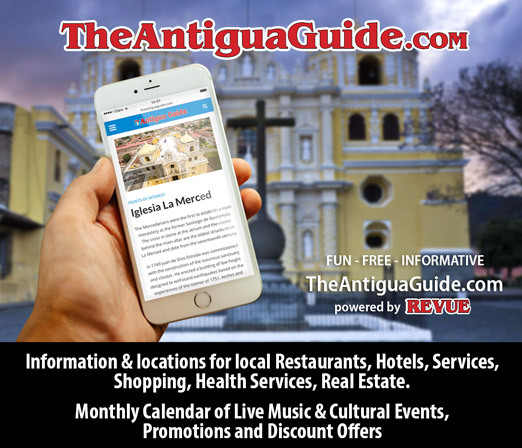 But the truth is there is not a single town or village in the entire country where shamanic activities are not in full force—from the Caribbean Garifuna “Obia” cults and all-night “Dugu” spirit-possession ceremonies to the Mayan “costumbres” performed at any moment in thousands of indigenous villages and towns. 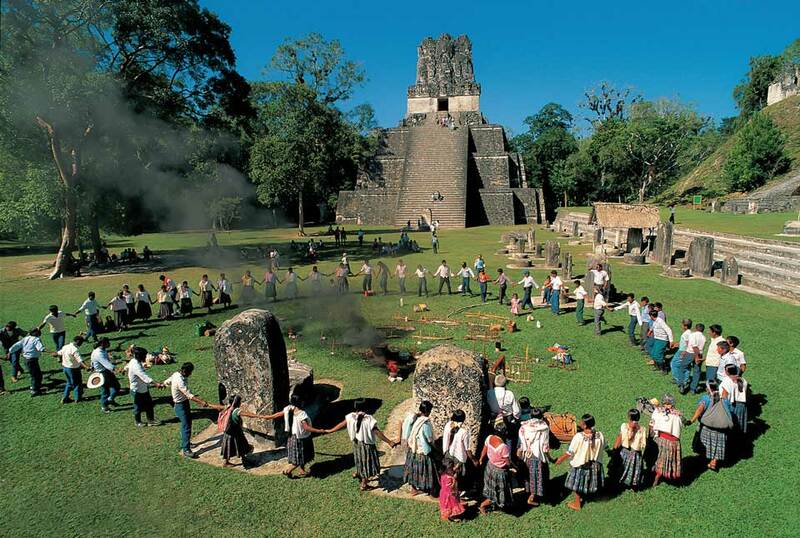 Guatemala is a place where the supernatural regularly occurs. If you think I’m exaggerating, simply visit any indigenous village and speak with a few locals. 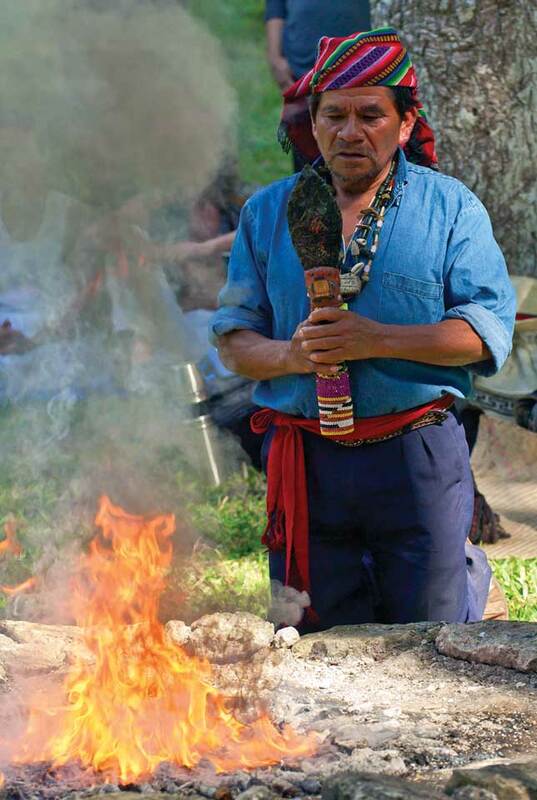 You will find an approximately universal belief that shamans and witchdoctors can conjure up visions, transform themselves into animals and inflict black-magic curses. Lizbeth, a writer from Santa Fe, New Mexico, flew down to a world conference on ethnobotany at a jungle lodge. 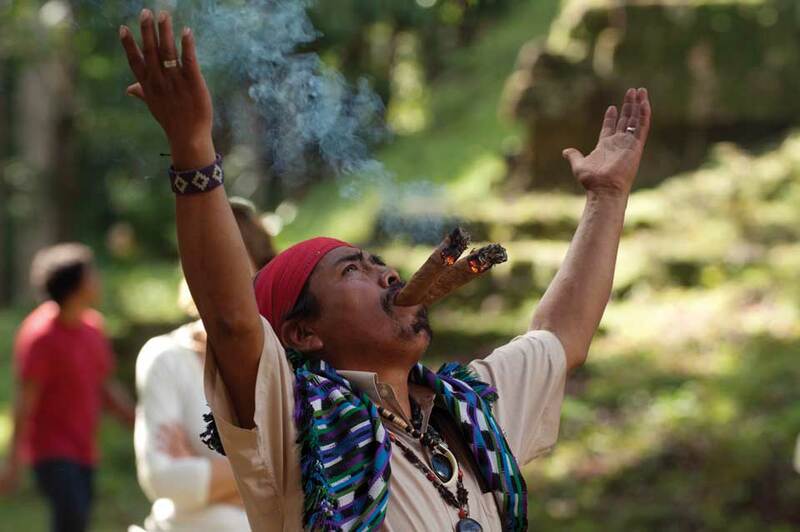 Being interested in traditional Mayan spiritual practices, she enlisted my help to locate an authentic Maya spiritual guide willing to impart some traditional wisdom. 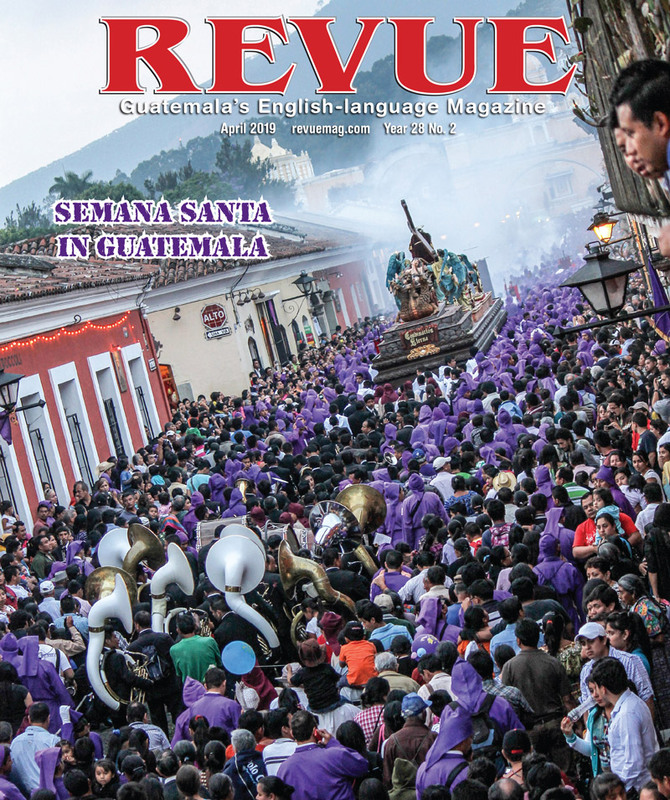 I suggested that we swing over to San Andrés Itzapa, a little village adjacent to Chimaltenango, where there is a large temple dedicated to Guatemala’s favorite indigenous saint, the charismatic Maximón. Normally a variety of spiritual guides and shamans linger in front of Maximón’s temple, and it was not long before Liz chose one, haggled over the price, and then we were off for a private ceremony. The guide, Tata Pedro, led us down a series of back alleys and lanes to a wooded area and a small thatched-roof, cane and mud hut. Inside in the dim light were effigies and statues, crosses and stone heads, and a long, low wood table with what seemed to be chicken feathers and many other indistinct objects, perhaps amulets and charms, all covered in multicolored candle wax. Liz sat in the middle of the hut, and I took my position against the rear wall, as Tata Pedro began arranging a circle of many-hued candles on the floor in front of her. Inside the candle circle he’d placed sugar, eggs, round pellets of incense and other objects not identifiable. Tata’s assistant, a beautiful young Maya girl, dressed in dazzling costume, arrived with a tray of bottles with colored liquid inside and several small bottles of Coca-Cola. Vaguely illuminated by the twinkling candlelight, Tata began his work in earnest, starting with a long series of indecipherable Mayan incantations, the timbre of his voice rising and falling like the waves on the sea. He was sometimes murmuring, sometimes shouting vehemently, other times reading from a small, weathered book, interspersed by kneeling and lighting candles on the table with the greatest care and solemnity. Then all was silent. Tata slowly came around to Lizbeth’s right side, took a big swig from a bottle of green-colored liquid and suddenly spat a vaporized stream directly into her face. Liz screamed and jumped to her feet, and Tata stood back with a look of satisfaction, as if he had accomplished what he had intended. A moment later he laid his hand on her shoulder, calming her down and explaining that this was just a normal part of the ritual. Tata then grabbed a bundle of fresh branches, some kind of herbs, and commenced whipping Liz all over her body, at first lightly but progressively more harshly, all the while pronouncing a stream of incantations between moments of intense silence when he would gaze attentively at Liz, seemingly scrutinizing her countenance. The spitting and whipping and chanting went on for perhaps a whole hour, at the end of which Tata stood back again and looked intently at his subject as if to say that his work had been accomplished. From then on the feeling of intensity gave way to a more festive mood as Tata set fire to the candle offering on the floor. As the fire blazed, Tata, from time to time, poured the contents of those bottles (color-tinted alcohol, Coke and honey) onto the flames as he chanted more incantations. Slowly the fire died down and the ceremony ended. Liz paid Tata and thanked him profusely. We made our way back to my vehicle and drove to my bungalow in the mountains above La Antigua Guatemala. For the rest of the day Liz remained silent. I guessed that she needed time to digest what had just happened to her. A few days later I was driving Liz to her conference, and we discussed her experience with Tata Pedro. I have to say that I was skeptical and even somewhat amused by the ceremony that Tata had performed for Liz. Teasingly I told her that I would be happy to spit in her face and whip her anytime she wished, and what’s more, I would do it for free. She did not find my comment funny at all, and flatly told me to shut up about it. I informed her that I only tease people I like. Liz told me that Tata’s ceremony had caused something to “shift” inside of her on an “energetic” level, and that ever since the ceremony she was feeling as though a big weight had been lifted off her. She said that some kind of “blockage” had been removed from her system, and that she was feeling much stronger, with more vitality and positivity. As a simple bystander at her ceremony I did not get any of that. But as I said, it was her ceremony. Having witnessed a wide variety of shamanic, religious and medical healing phenomena, I have come to some tentative conclusions. While the outer paraphernalia associated with the practitioner may change, the “bells and whistles” used by the Zulu shaman are quite different from the artifacts and dress of Maya spiritual guides, yet the basic principles behind the success of the treatment remain the same. A key element in all healing arts, including modern scientific medicine, is the element of belief. If you believe that the sugar pill (placebo) your physician prescribes is actually a powerful medicine, there is a chance that you may actually start to feel much better. On the other hand, placebo studies have shown that well-known drugs, if administered without the patient’s knowledge, are far less effective—if the patient did not know that the medication had been given to him or her. The power of mind and belief are profound, and the scientific study of the placebo effect is revolutionizing our understanding of the mind-body connection. Harnessing the power of belief will open new realms of possibility for all of us. I REALLY enjoyed Thor Janson’s article on Shamanism. Fabulous!